Welcome to Music Friday when we bring you fantastic songs with jewelry, gemstones or precious metals in the lyrics or title. Today, we introduce you to the powerful voice of Swedish singer/songwriter Jill Johnson and her 2000 anthem, “Mother’s Jewel,” which delivers a vital message about having compassion for those less fortunate. Originally released as the first track from her Daughter of Ever album, “Mother’s Jewel” explains how some people are given a lot of choices in life, and others get none. But despite one’s circumstances, everybody should be treated with empathy and kindness. Born in the remote town of Ängelholm, Sweden, Johnson's music roots go back to her pre-teen years. She joined a country and western band at age 12 and toured professionally throughout Scandinavia. She was signed to a record deal in the mid-1990s and earned critical acclaim for her dazzling performances in a Swedish music competition, Melodifestivalen, in 1998, 2003 and 2005. Today, she’s considered to be one of the most successful music artists in Sweden, with several gold and platinum records. Reviewers have compared her delivery and vocal range to that of Celine Dion and other world-class performers. In 2013, she became the host of her own TV show called Jill’s Veranda, which explores the roots of country music in Nashville, Tenn. The show has a national following in her native Sweden. We know that once you hear the first few bars of Johnson’s captivating live performance of “Mother’s Jewel,” you will be wondering why she isn’t a household name in North America. See the video at the end of this post and check out the lyrics below if you’d like to sing along. Written by Lotta Ahlin. 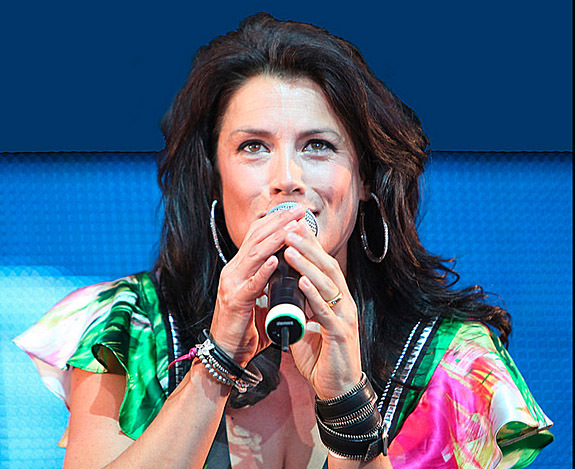 Performed by Jill Johnson. Duke's Jewelers was established in 1948, and has been in the family ever since. Here, we strive to offer the best of in-store services and quality well-made jewelry and diamonds. We don't carry inferior jewelry or gems. Because we are a small, family-owned business, we aren't saddled with high overhead costs like the big guys. We can offer better diamonds and jewelry at better prices. Our friendly staff is ready to help find the perfect ring for you. We can make or modify practically anything. If you can dream it, we can make it. We have elected to follow a "Value Pricing" policy. We try to offer the very best prices on quality jewelry and gemstones every day of the year.